Elizondo-Garcia, J., Schunn, C. & Gallardo, K. (2019). Quality of peer feedback in relation to instructional design: A comparative study in energy and sustainability MOOCs. International Journal of Instruction, 12(1), 1025-1040. Witherspoon, E. & Schunn, C. D. (2019, online). Teachers' goals predict computational thinking gains in robotics. Information and Learning Sciences. Ben-Eliyahu, A., Moore, D., Dorph, R., & Schunn, C. D. (2018). Investigating the multidimensionality of engagement: Affective, behavioral, and cognitive engagement across science activities and contexts. Contemporary Educational Psychology. Schunn, C. D., Newcombe, N. S., Alfieri, L., Cromley, J. G., Massey, C., & Merlino, J. F. (2018). Using principles of cognitive science to improve science learning in middle school: What works when and for whom? Journal of Theoretical Social Psychology, 32(2), 225-240. Aviña, G. E., Schunn, C. D., Silva, A. R., Baur, T. L., Crabtree, G. W., Johnson, C. M., Odumosu, T., Picraux, S. T., Sawyer, R. K., Schneider, R. P., Sun, R., Feist, G. J., Narayanamurti, V., & Tsao, J. Y. (2018). The art of research A divergent/convergent thinking framework and opportunities for science-based approaches. In E. Subrahmanian, T. Odumosu, & J. Y. Tsao (Eds). Engineering A Better Future (pp. 167-186). Switzerland, Cham: Springer Nature Switzerland AG. Hosseini, R., Akhuseyinoglu, K., Petersen, A., Schunn, C. D., & Brusilovsky, P. (2018). PCEX: Interactive program construction examples for learning programming. In 18th Koli Calling International Conference on Computing Education Research (Koli Calling ’18), November 22–25, 2018, Koli, Finland. ACM, New York, NY, USA, 9 pages. Paletz, S. B. F., & Schunn, C. D. (2018). Micro-conflict coding scheme. In E. Brauner, Boos, & Kolbe (Eds. ), Cambridge Handbook of Group Interaction Analysis. Witherspoon, E., Schunn, C. D., Higashi, R., & Shoop, R. (2018). Attending to structural programming features predicts differences in learning and motivation. Journal of Computer Assisted Learning, 34(2). McKenney, S. & Schunn, C. D. (2018). How can educational research support practice at scale? Attending to educational designer needs. British Educational Research Journal, 1-17. Pareja Roblin, N., Schunn, C., & McKenney, S. (2018). What are critical features of science curriculum materials that impact student and teacher outcomes? Science Education, 102(2), 260-282. Marshman, E. M., Kalender, Z. Y., Nokes-Malach, T., Schunn, C. & Singh, C. (2018). Female students with A’s have similar physics self-efficacy as male students with C’s in introductory courses: A cause for alarm? Physical Review Physics Education Research, 14(2). Menekse, M., Higashi, R., Schunn, C. D. & Baehr, E. (2017). The role of robotics teams’ collaboration quality on team performance in a robotics tournament. Journal of Engineering Education, 106, 564–584. Witherspoon, E. B., Higashi, R. M., Schunn, C. D., Baehr, E. C., & Shoop, R. (2017). Developing computational thinking though a virtual robotics programming curriculum. ACM Transactions on Computing Education (TOCE), 18(1), 20. Canadian Science Publishing posted a blog related to a physics paper by Tim Nokes-Malach, Chris Schunn, Chandralekha Singh, and co-authors Emily Marshman and Zeynep Y. Kalender, titled "The Experiences of Female Students in an Introductory Physics Course" on December 29, 2017. The paper referred to in the article is "A Longitudinal Analysis of Students’ Motivational Characteristics in Introductory Physics Courses: Gender Differences." Meghan Bathgate, Chris Schunn, and Rip Correnti’s research on Childrens’ responses to science across settings is featured in the May 2016 Relating Research to Practice Brief, a website supported by the National Science Foundation. “Do the Best Ideas (Really) Come from Conceptually Distant Sources of Inspiration?" authored by Chris Schunn, his former graduate student Joel Chan, and Steven Dow, has been awarded the Design Studies Award 2015. Chris Schunn is interviewed about his research for the Canadian Broadcasting System (CBC) "Eureka! : Mapping the Creative Mind." Chris's section begins at 35:20. Christian Schunn and Joel Chan's research included in the Innovation Excellence blog, number 12 "Being a 'genius' requires hard work, not talent." Chris Schunn was mentioned in the OZY article "Bridging Tech's Gender Gap...With Dance." Joel Chan and Christian Schunn's research was discussed in the OZY article "The Productivity Secret You Don't Want to Hear." Panther Learning Systems, Inc. won Ed Tech Company of the Year at the Pittsburgh Technology Council Tech 50 awards. Panther Learning Systems licenses Peerceptive, (SWoRD), which is a web-based peer review system to support writing instruction, developed at LRDC by Christian Schunn. Joel Chan and Christian Schunn's research on analogies was used in the article "How to Think Like an Engineer" from Design News. Chris Schunn and Muhsin Menekse, with Robin Shoop of CMU, have received a National Science Foundation grant for "Changing Culture in Robotics Classrooms." This is a continuing grant that has been approved on scientific/technical merit. Congratulations to Christian Schunn, Diane Litman, and Amanda Godley. "An Intelligent Ecosystem for Science Writing Instruction," was awarded a The National Science Foundation (NSF) grant. Joel Chan and Christian Schunn's research was mentioned in class the Business Insider, "This Cognitive Tool Helped Thomas Edison Discover His Inventions." Joel Chan and Christian Schunn’s research on analogies was mentioned in a recent National Geographic blog "Where Do New Ideas Come from?" 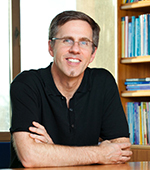 Chris Schunn has been elected a Fellow in the Association for Psychological Science. Christian Schunn was mentioned in a LinkedIn article on the Secret Skill Behind Being an Innovator.